It will always be a fact that people will not forget that Hotel Borobudur will always be correlated with its stellar sop buntut which is available at their iconic Cafe Bogor and their successful restaurants out on the malls of Jakarta. However, we often ignore the fact that Hotel Borobudur is more than just the sop buntut. 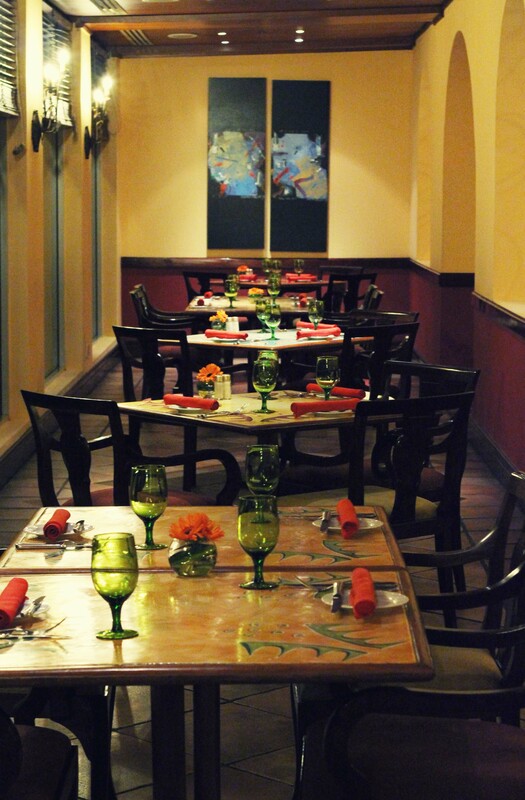 With its sheer size and legendary stature when compared to any other hotel in Jakarta, the hotel has more than enough room to pave way for other restaurants. International cuisines such as Japanese and Chinese have their representatives here through Miyama and Teratai, respectively. Bruschetta, on the other hand, is the sole rep from the Italian cuisine and now helmed by Chef Marco Matteucci, it is more than ready to compete as the best Italian restaurant in J-Town. 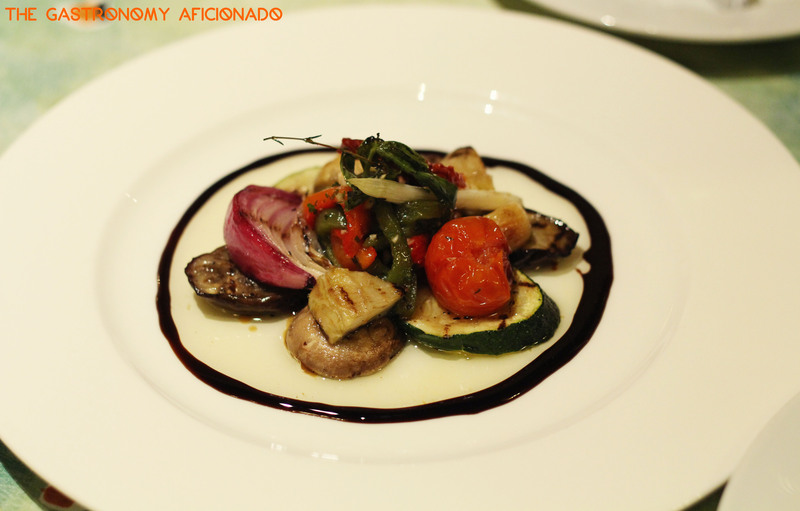 With its classical approach that is no short of flairs and flavors, Chef Marco introduced us the best from the restaurant. Us, me alongside the social media darlings such as Jenny Jusuf, Giantara Abdillah, Erza ST, and my dear foodie Ellyna Tjohnardi, were made astonished with his creations. So without further ado, here comes the highlight of our dinner! So, these wonderful openers are not just eye candy but in realization, they did deliver a major blow of satisfaction on my other senses. My best pick for this part would be the souffle and I even say that it’s even better than the last one I had back on a restaurant at one of the tallest buildings in Jakarta. 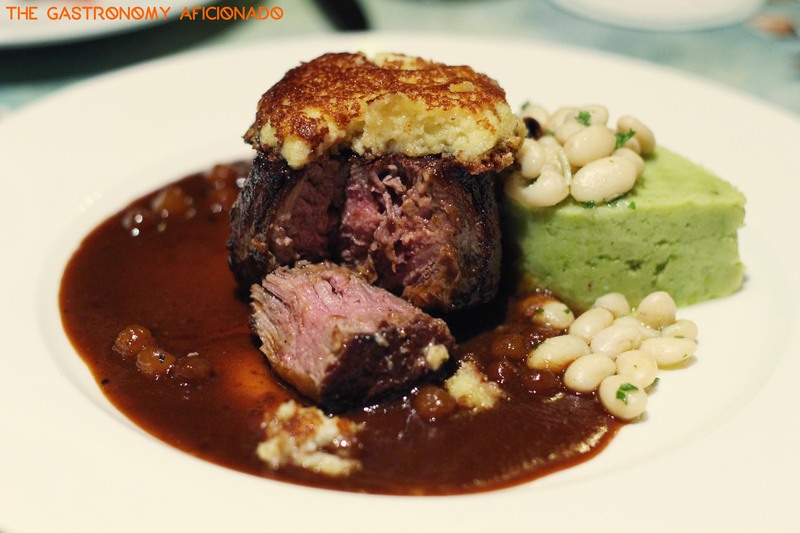 It has so many other elements that go well with the cheese souffle. 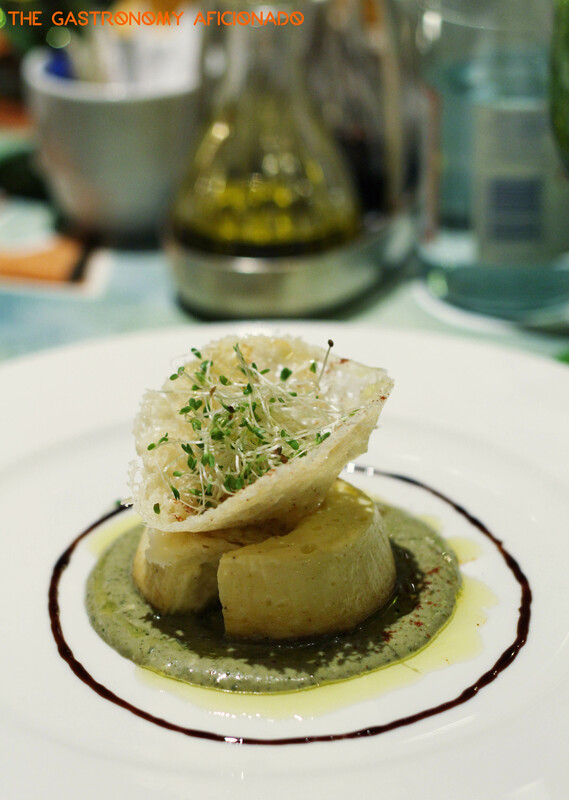 The parmesan tuile gave that salty kick and crispy exterior when you savor the mild and rich souffle. The herb-ish salsa verde with reduced balsamic and paprika were a combination full of delight and each scoop of everything was a food to my soul (and stomach). 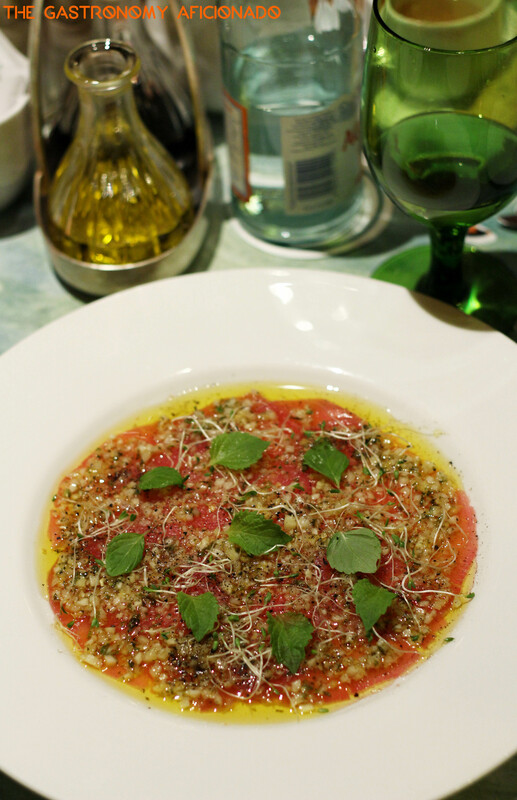 To compare, the tuna carpaccio was not just aesthetically inviting but it also has great layers coming in from the fennel brunoise, micro herbs, and cucumbers. The tuna was still the irreplaceable main star complemented with good touch of olive oil, sea salt, and pepper with lemon juice. 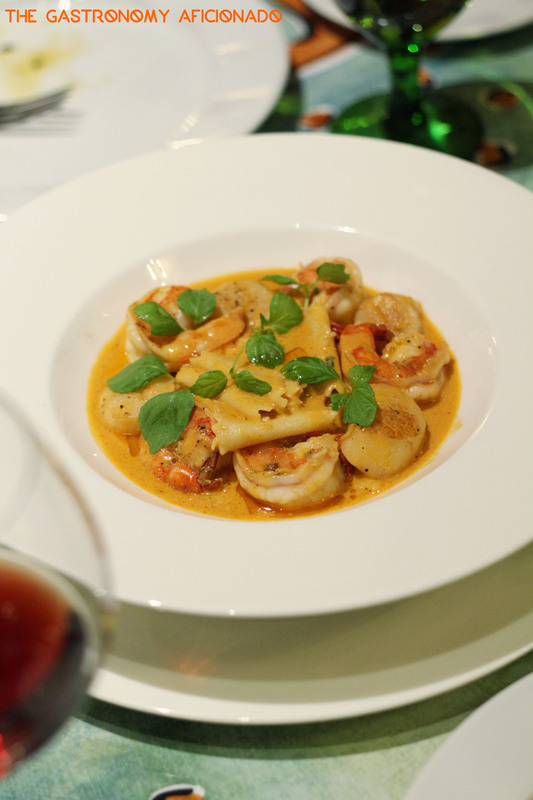 True to his Italian nature, Chef Marco did not hesitate to create various fresh homemade pasta to be incorporated in his dishes. Let’s not talk about the freshness, al dente, or forms as he reached what true Italians would require from their chefs. They were all immaculate. Personally, I’d pick the cartoccio anytime for the nutritious value above else but it could use a more savory pinch to kick in the best flavor back then. 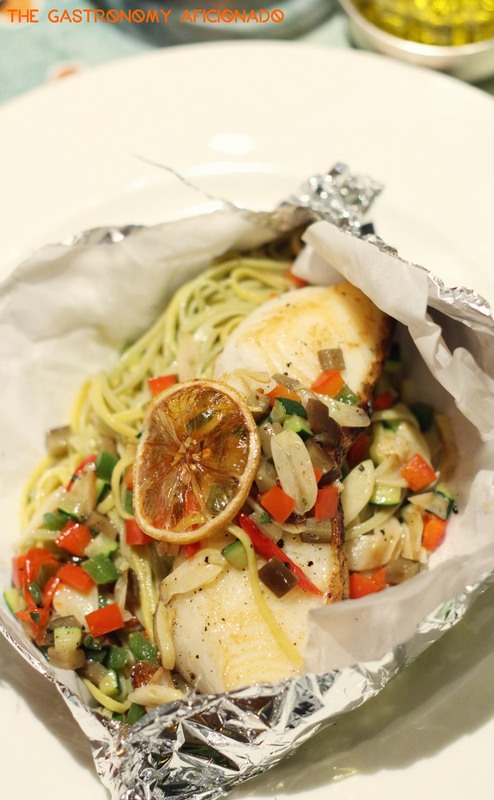 It was nonetheless, a beautiful Chilean sea bass served wrapped with bi-colored spaghetti. 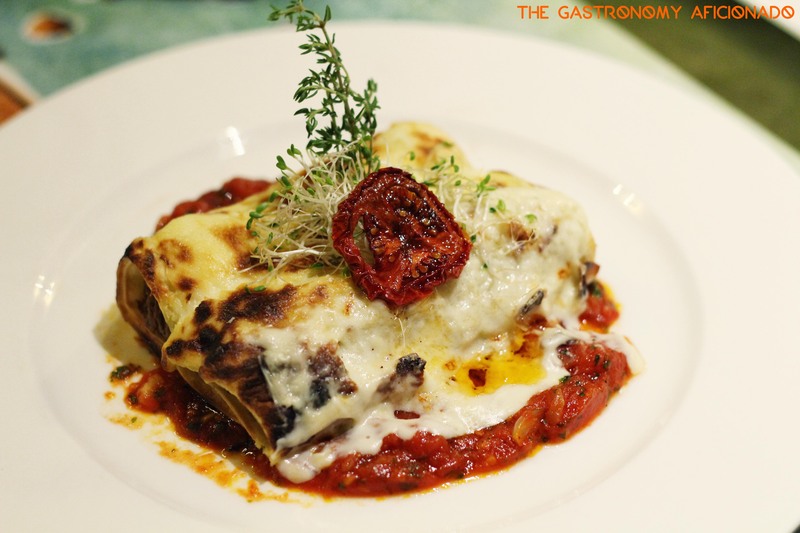 Secondly, the cannelloni. You cannot ask for more when it comes to lamb fillings with pine nuts and artichoke. Fulfilling like Italian food should be but also whimsical. 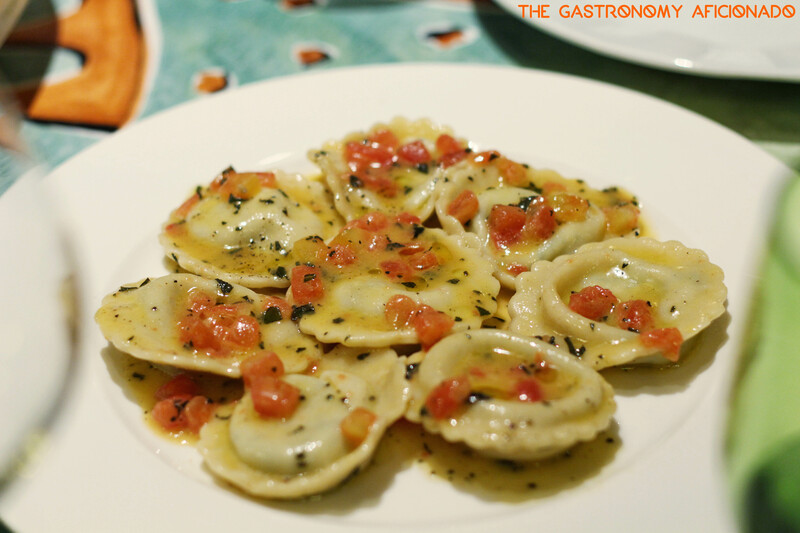 On the other hand, the homemade ricotta with ravioli was clean and simple. Something that I would like to have before proceeding to the delicate secondi. 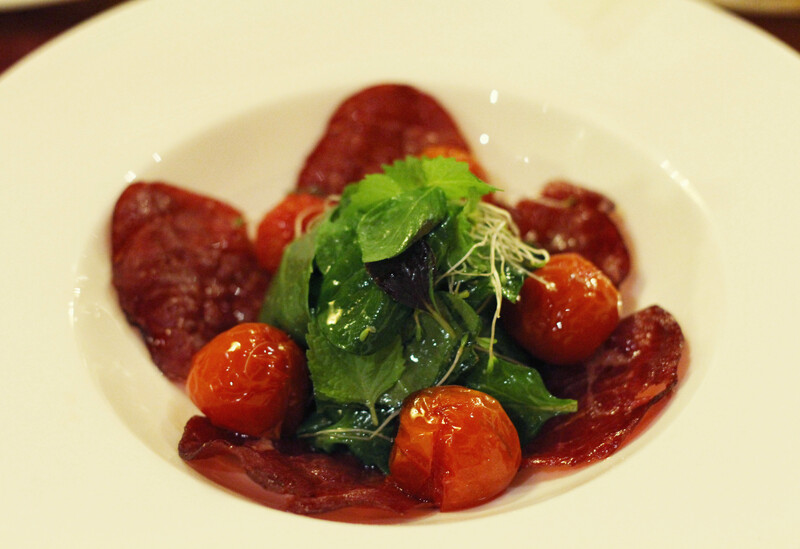 Not only with pasta, Chef Marco also excels in how to treat his meat in the best way possible. You won’t find any disadvantages in any of his secondi that I tried that night. 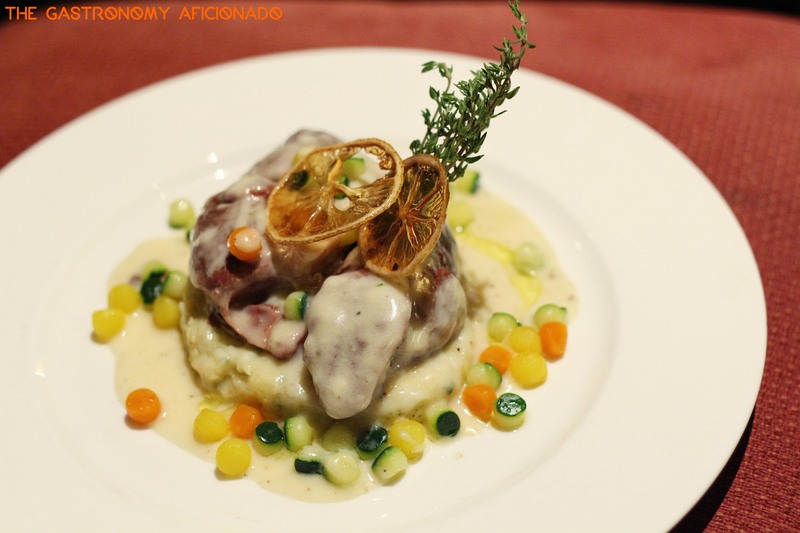 The osso bucco will always be that classic choice and we do love how the silky sauce and mashed potato will go well with the beef. On top of that, Chef Marco fixed us a splash of the highly inviting truffle oil to keep our appetite on the highest level and dig in wholeheartedly. 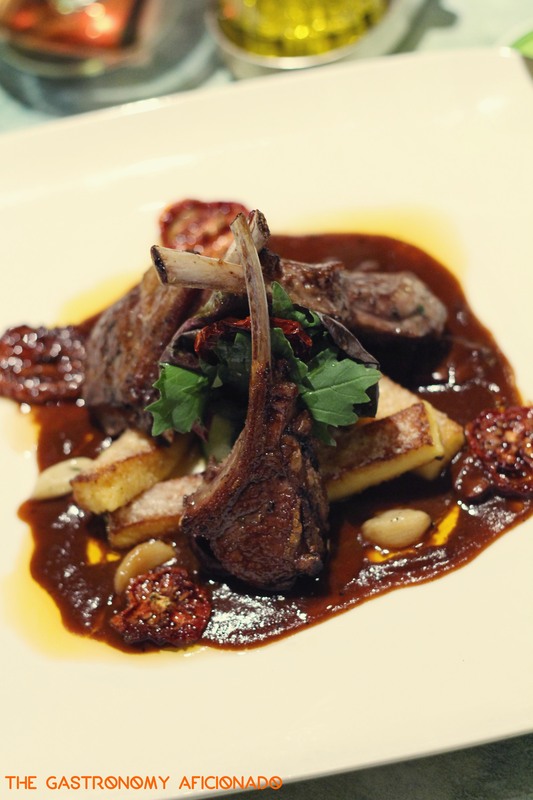 However, as I grow fonder and fonder of Middle Eastern cuisine, lamb has become a part of my integral diet and that’s why I could not help to finish all the lamb chops that Chef Marco prepared us. It’s not just succulent but also beautifully combined with polenta chips. Bravo! These wonderful creations could only mean one thing – we cannot afford to have more space for dolci. Lucky that Chef Marco knew that we need something nice and calming for our end note and that’s why he churned the ice cream on the last minute and that was it, perfect! 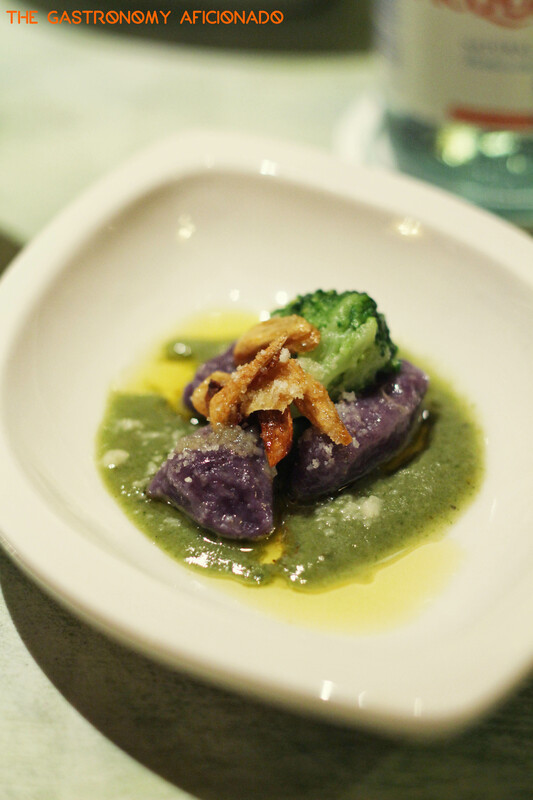 I would like to thank Hotel Borobudur for the opportunity to sample the best from the Italian part of the hotel. It was not only pleasing but it was a revelation for me personally. I began to love again my Italian palate through this experience and I have to thank the expertise of Chef Marco who was not only managed to elevate my spirit again but also shared us his humbleness and warm hospitality. Until next time, Bruschetta. Ciao!